After having printed up another piece of paper terrain to complete my scenery needs for the Miles Behind Us campaign for The Walking Dead: All Out War, I finally tackle building the simple barn from Stoelzel’s Structures line of paper terrain. 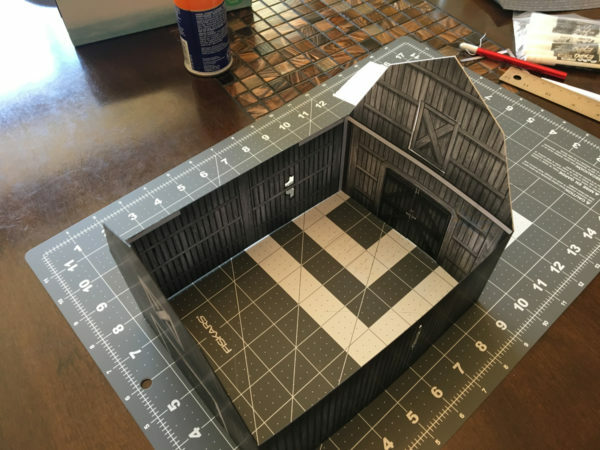 It’s a pretty simple model and easy to make if you want to keep the structure all in one piece. Stoezel’s Structures are made with foamcore in mind but I don’t want a static structure as I want to fold down the model in between use. 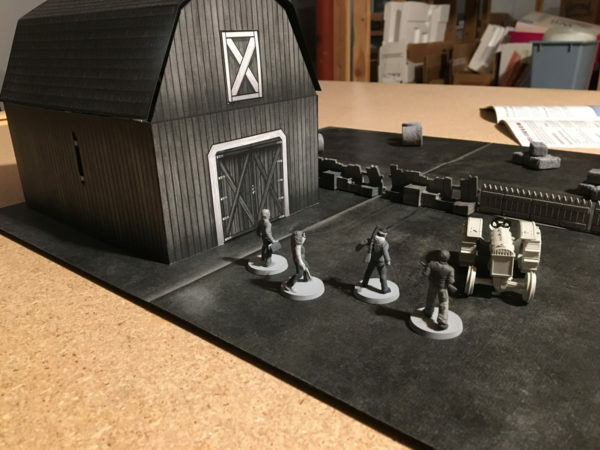 I ended up assembling the whole piece with movable front barn doors and top hatch and then lined the edges with a black marker to clean things up. Without the black edging, the white edges just stick out too much to me. 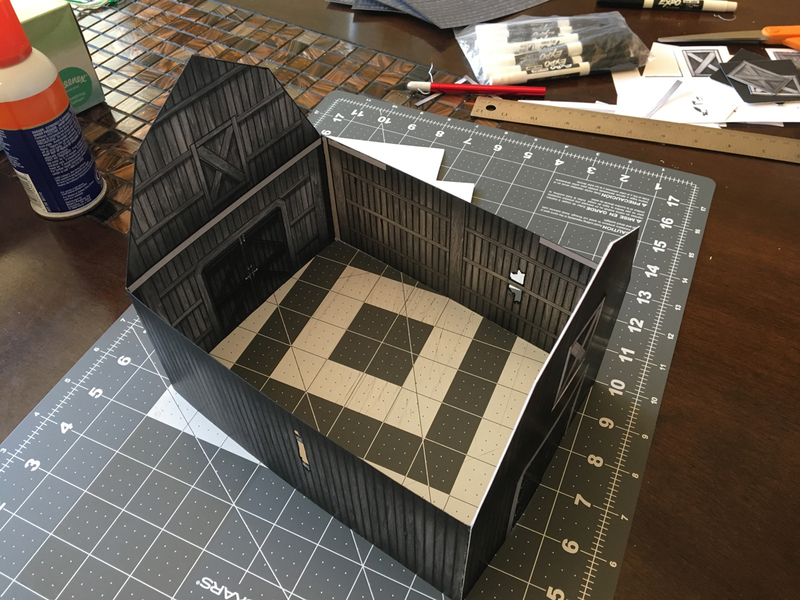 After a couple of attempts at the barn roof, I was able to get the sizing right and fit it loosely to the top. 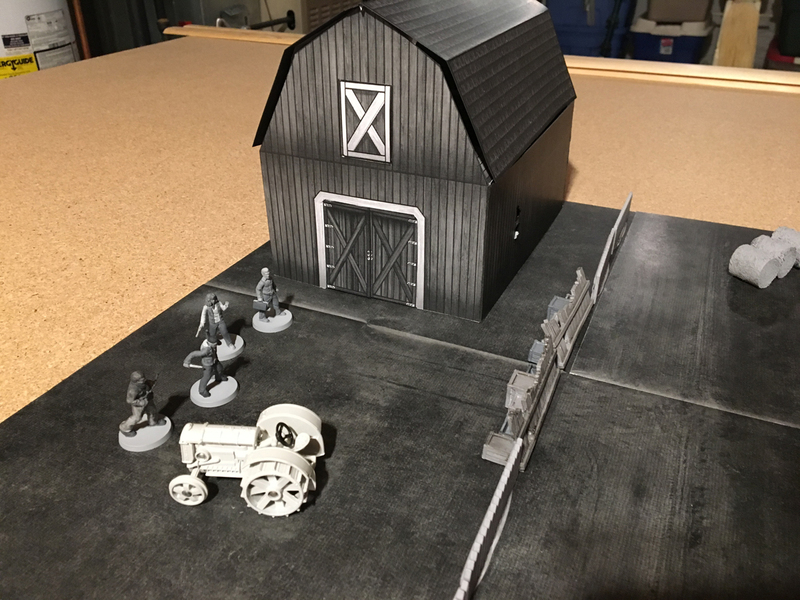 I’m still debating on how to fix it better to the top of the barn without it being permanent but it will definitely serve for some scenario play. Now I just need to find the time to get a game in. 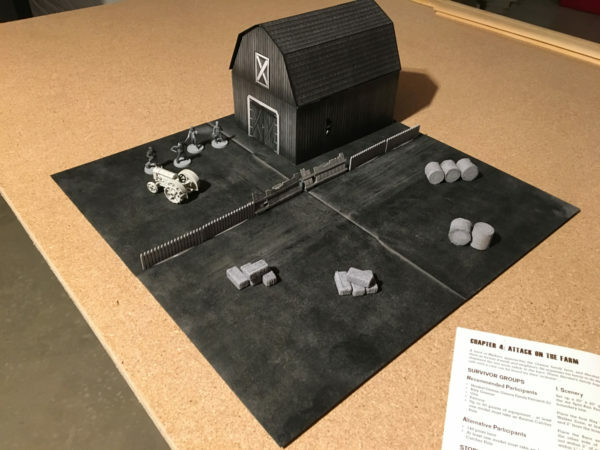 That’s a nice looking barn, Christian (I’m envious of your straight lines). Are you using a glossy 110lb paper? It definitely looks of better quality than what I print out. Heh, and I think the barn may be one of the few things Carl made that I skipped over. It’s all about the ruler 🙂 When I use scissors, it tends to get a little funky. I’m using standard cardstock (110 lbs) but doubled since I’m printing single-sided only. They do look a little glossy in the pic but I think it’s because it’s off a laser printer which tends to have a little sheen to it. I’ll knock it down with a matte spray to seal in the toner a little better (the heat adhesion doesn’t work that great on my printer when using heavier paper) and to give it consistency. I don’t tend to use Carl’s stuff as he likes to make them require Foamcore but it is the best barn out there that I’ve seen. I originally saw it on Vampifan’s blog: http://vampifansworldoftheundead.blogspot.com/2014/11/stoelzels-structures-barn.html. Running an image search had it come up and so I also co-opted the idea of cutting out the holes and making the doors function from him.